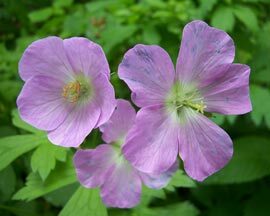 Pale purplish pink flowers are attached to the flowering stems. Plant can survive in full sun if continuously wet. 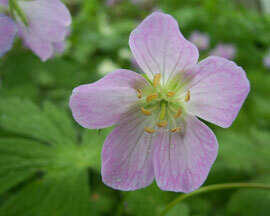 One of the easier woodland plants to grow.